The Druid Hills Civic Association, today, announced the 2016 Druid Hills Tour of Homes & Gardens and Makers Market, 22 - 24 April 2016. Druid Hills Youth Music Showcase on Friday 5:30 - 7:30PM, Emory Village Plaza, featuring the Red Handed Band – CeCe Yarbrough, Charles Eastman and Nate Marquardt; Rowan Kennerly and Friends; duet by Chase Calhoun and Taylor Liebold; and solos by Charles Eastman. Patch Dash 5K Fun Run/Walk and Tot Trot on Sunday 8:00AM (requires registration and entry fee; proceeds benefit Press On To Cure Childhood Cancer: www.pressonfund.org. The tour events take place Friday, 22 April, 1:00 – 5:00PM; Saturday, 23 April, 10:00AM – 5:00PM; and Sunday, 24 April, 10:00AM – 5:00PM. Tickets are $25 in advance and $30 at the door. Groups of six or more are $20 in advance and $25 at the door. Tickets may be purchased in advance on the website: www.druidhillstour.org. 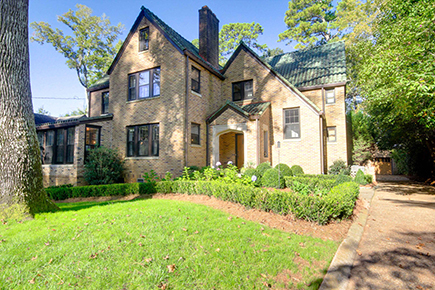 Proceeds from the tour and events benefit the Druid Hills neighborhood, which is on the National Register of Historic Places.